On Thursday, I was interviewed on NPR’s All Things Considered by Audie Cornish, and talked about the most recent awful thing to happen on a reality show: a possible sexual assault while cameras filmed. I also wrote about other incidents of on-camera violence for Vulture: A Brief History of Violence on Reality TV. Alas, those are just a few of the examples. I was honored to be a guest on The Reality of Reality podcast, and had a great conversation with Aliza Rosen, a development executive and reality TV producer who interviews people who are involved with reality television. It’s a podcast I’ve been a fan of since discovering it early last fall—it’s a great resource for anyone interested in the business of unscripted television. 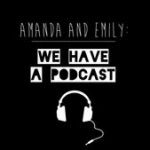 I was thrilled to join Amanda and Emily, two exceptional comic improvisers and actors, on their podcast. 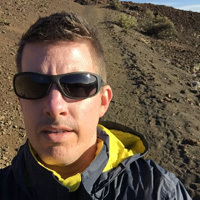 We talked a lot about reality TV, and I shared some behind-the-scenes stories of adventures in reporting on reality television. Oh, and we improvised scenes from Frontier House and Kid Nation. Listen via iTunes (it’s episode 006) or with the player at the end of this story.